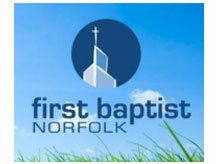 At an average First Baptist Church of Norfolk Sunday service, you’ll find 2500 people sitting in the congregation, up to 1000 of which, are connected to the church’s network. In addition to their megachurch-status member base, the First Baptist of Norfolk runs outreach missions that touch the corners of the globe. Javier Montanez, IT Manager at First Baptist Church of Norfolk, spoke with us about how PC Matic Pro keeps their 100+ endpoint network secure, and running at peak performance.